The Westmoreland Yough Trail Chapter of the Regional Trail Corporation will hold its 7th Annual 5k/10k Run and 2 Mile Fun Walk! The event will start at the Arthur H. King Access Area of the Great Allegheny Passage (GAP) in West Newton, PA. 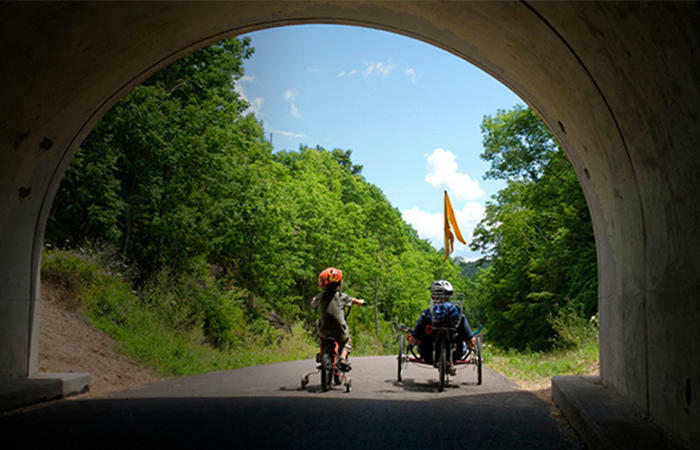 Proceeds from this fundraiser will be used by trail volunteers to maintain, preserve and enhance the Westmoreland County section of the Great Allegheny Passage. The 5k/10k Run will begin at the King Trail Access Parking Lot and proceed south on the Trail out and back. The 10k Run will begin promptly at 9:00 am and the 5k Run at 9:05 am. The 2 Mile Fun Walk will begin at the King Trail Access Parking Lot at 9:00 am and proceed north on the Yough River Trail 1 Mile out and back. Medals will be awarded to overall male and female runners in the 5k and 10k Run and to the top three male and female age group participants of those events. Medals will also be given to all Run and Walk participants age 10 and under. Medals will be awarded to the oldest and youngest participants of the 2 Mile Fun Walk. Many people are unaware that the trail is not maintained by county or state workers, but by volunteer effort. This event is a major fundraiser for the volunteer maintenance of the 10.5 miles of trail that runs through Westmoreland County. People come from all around the southwest Pennsylvania region to enjoy the scenery, smell the early morning air along the river, enjoy the camaraderie of the event and have a chance to win a medal.